A king of excess, as Roberto Cavalli is known, began his journey in the fashion world in 1970 with his printed leather gowns. Since then, he has never looked back. His exotic prints and bohemian glamor is coveted by every celebrity worth their name. He studied at the Academy of Art, Florence in 1957. In 1972, Cavalli opened his first boutique in Saint-Tropez. 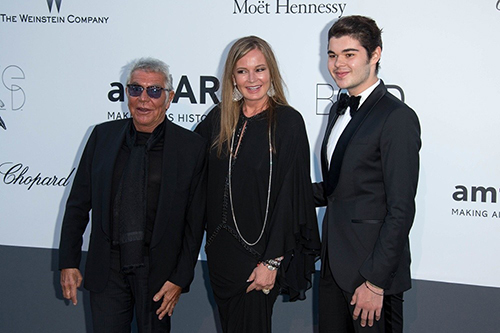 Throughout his career, Cavalli has made several advancements in textile technology. He released printed jeans in 1988, sand-blasted jeans in 1994, and stretch jeans in 1995. Cavalli’s family tree is a fascinating read. Cavalli’s father, Giorgio, was a mine surveyor. His mother, Marcella, was a seamstress. In 1944, Giorgio was killed by German soldiers during a retaliatory attack against the Italian Resistance. Cavalli has a sister, Lietta Cavalli, about whom not much is known. Silvanella was a fellow art student at the Academy of Art, Florence. She dated Cavalli for 4 years before getting married in 1964. After ten years of marriage, they got divorced in 1974. Cavalli first saw Eva at the Miss Universe 1997 pageant, where she was participating as Miss Austria at the age of 18 years. She won second place in the contest. After marriage, she became the creative director of the Roberto Cavalli collection and continues to work in that position. She is given the credit for turning the fortunes of the design house around in the 1990s. Christiana and Tommaso were born from Cavalli’s marriage to Silvanella. Rachele, Daniele, and Robin are children of Eva and Cavalli. Not much is known about Christiana. Tommaso co-owns the winery, Tenuta Degli Dei, along with his father. Tommaso transformed the wine estate bought by his father; it is spread over 5 hectares in the Tuscan region. French varieties of grapes such as Cabernet Franc, Alicante Bouschet, Petit Verdot, Merlot, and Cabernet Sauvignon are grown. Tommaso has 2 passions – breeding competitive horses and winemaking. Since 2011, Daniele was the menswear creative director of Cavalli’s design house. He is a fashion designer. Robin graduated from the ACS International School in Cobham in Surrey. 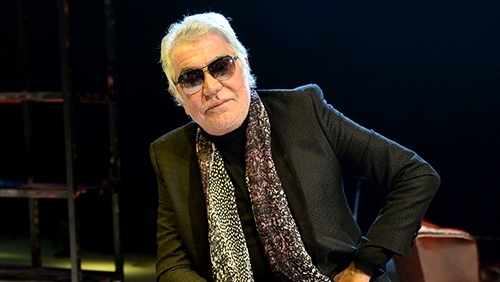 Cavalli is estimated to be worth US$ 500 million.